n $400. I've found offers from many major retailers, as well as some handy tips to help you map out this year's shopping strategy. If you can't get enough laptop information, then you should also check out PC World's 2009 Holiday Laptop Gift Guide to see which computers promise to be on everyone's wish list this year. (expandable to 4GB), 160GB hard drive, and Wi-Fi connectivity. Missing features on this device include Bluetooth, Webcam, and TV Tuner. This is an in-store only special, so if you've got your eye on the HP you'll have to line up early. You should also know that, according to Best Buy's Doorstoppers page, each store is only guaranteed to have a minimum of five laptops per store. So you might want to get in line early for this one. Doors open at 5 AM and Best Buy will be handing out tickets for select items as early as 3AM. ckFriday.FM. This computer also features a 15.6-inch screen, 2GB of RAM, and a 160GB hard drive. If netbooks are your thing, check out Office Depot's ad over at tgiBlackFriday.com. The office supply store should be offering an Acer netbook with a 10.1-inch screen and an Intel Atom N270 processor for $199.99. 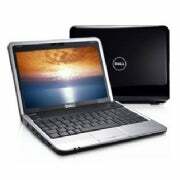 Dell is also offering a $199 netbook with its Inspiron Mini 9. This Linux-powered machine features an 8.9-inch screen, 1 GB RAM, Intel Atom N270 processor, and a 4GB solid-state drive. The netbook comes with a 0.3 megapixel Webcam, but you can upgrade to 1.3MP for just $10. d Windows 7 Home Premium. On the downside, Staples' price includes a $50 Easy Rebate that you'll have to redeem online. Check out Staples' Rebate Center for more information about Easy Rebates. ition for $249, according to BlackFriday.FM. Featured specs include an Intel Atom Processor N270, 10.1-inch LCD widescreen, 1GB RAM, 160GB hard drive, Webcam, and a 15-month subscription to MacAfee Security Center. The Shack will be offering an Acer Aspire laptop for $399 running Windows 7 Home Premium (64-bit). Specs include a 15.6-inch screen, AMD Athlon Dual-Core processor, 4GB RAM, 320GB hard drive, Wi-Fi, and Webcam. Check out Radio Shack's ad on GottaDeal's Black Friday site. er special from Staples is an upgraded version of its sub-$300 deal. Get an HP laptop with a 15.6-inch screen and an Intel Pentium Processor T4300 for $399.98. You also get 4GB RAM, 250GB hard drive, and Windows 7 Home Premium. Details are on BFads.net. Any of these computers strike your fancy or have you found an even hotter laptop deal? Let us know in the comments.